In recent years, Turkey has become an ever more important actor on the international stage. However, Turkey-EU relations still remain in a state of flux. The EU and Turkey seem to have moved apart in their political aspirations after Turkey’s EU accession talks faced a stalemate over the Republic of Cyprus’ EU accession as a divided island. Likewise, both Turkey and the EU have recently faced new socio-political realities, such as the Eurozone crisis, the Arab Spring and the Turkish government’s shifting foreign policy towards the Middle East region. Such developments have rendered EU membership potentially a less desirable prospect for an increasingly self-confident Turkey. In light of these recent events, this book explores the evolving challenges and opportunities facing the more than 50-year old Turkey-EU relationship. 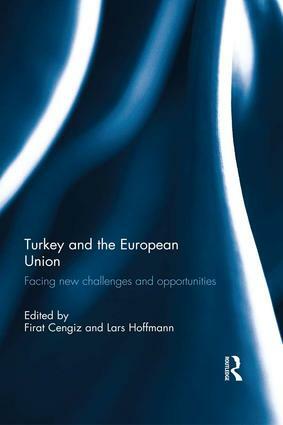 This volume focuses particularly on the role of the Cyprus issue, the potential for closer Turkey-EU cooperation in the aftermath of the Arab Spring, the impact on Turkish citizens and politics, as well as the concept of Europeanization, especially in relation to Turkey’s democratic reform process. In drawing together perspectives from the disciplines of international relations, political science and law, this book offers a unique, interdisciplinary outlook towards the changing role of Europe in Turkey’s political discourse. This book will be of interest to researchers and students of Turkey-EU relations, EU external relations Law, Europeanization and Turkish and Middle Eastern politics. The Cyprus issue and Turkey’s accession negotiations: catalyst effect or Gordian knot? The Cyprus Challenge in Turkey-EU relations: heading towards the defi ning moment? The Arab Spring and regional integration: can the European Union and Turkey co-operate? The domestic effects of Turkey’s EU accession negotiations: a missed opportunity for Europe?